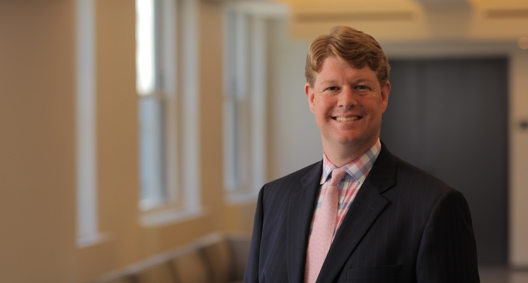 Robb Beckerlegge is a commercial litigator with a focus on intellectual property litigation and an emphasis on brand protection and anticounterfeiting. He works directly with clients to develop cost effective ways to enforce their invaluable intellectual property. Robb has conducted countless civil seizures of counterfeit goods and secured millions of dollars in judgments and settlements on behalf of numerous clients. He regularly works directly with CBP, HSI, the NYPD and numerous investigators throughout the United States. Robb also maintains an active commercial litigation practice. He assists in the representation of Trustee Irving H. Picard for the SIPA liquidation of Bernard L. Madoff Investment Securities LLC and serves as counsel to an SEC-appointed receiver investigating a Connecticut-based Ponzi scheme. Robb is a member of the International Trademark Association who has hosted a round table panel on third party liability for trademark infringement and moderated a webinar on the importance of trademark recordation and working constructively with CBP. He is also a past member and co-chair of the International Anticounterfeiting Coalition’s Internet Committee and has moderated a panel on trademark enforcement in non-traditional ways. Additionally, Robb works directly with the board of Case Western Reserve University School of Law on their new program offering a master of arts degree in financial integrity. Robb is the co-coordinator for unassigned associates in BakerHostetler’s New York office, providing the firm’s younger attorneys with mentorship and training. Robb is a past co-chair of the New York office’s mentor committee, and is regularly appointed as a mentor to younger associates. Part of a team taking action against third-party infringers in the seizure of counterfeit goods. In addition to taking action against individuals, such as landlords, who have knowledge of illegal activity but who do not appropriately remedy the situation, works with cooperating landlords to sue tenants who engage in counterfeiting. Regularly appears before federal judges and law enforcement to advance the protection of clients’ trademarks. A member of the BakerHostetler team assisting in the representation of Trustee Irving H. Picard for the SIPA liquidation of Bernard L. Madoff Investment Securities LLC. Responsible for daily litigation and investigatory needs of SEC and Connecticut district court-appointed receiver in a Ponzi scheme. Served on a team that represented large telecommunications provider in false advertising dispute with competitors. Involved in all aspects of the investigation and litigation. Maintained dockets, as well as drafted and researched information in developing a mock jury consultation and presentation for use in case preparation.